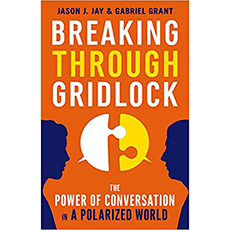 “Breaking Through Gridlock” is designed to help you overcome conversation barriers. It shows you how to be true to yourself while enriching relationships and creating positive pathways. The authors invite readers to move from from self-reflection to action. This book aims to bring awareness to the role unwittingly played in our conversation gridlock. It empowers us with the confidence to share what really matters in order to create positive change. - Is being in the eye of the beholder?